Every ninth month of the Islamic calendar, Ramadan is observed by Muslims all around the world. A month of fasting to commemorate the first revelation of the Five Pillars of Islam. This holy period always reminds me of how strong the faith of Muslim people are and also how beautiful their place of worship is – Mosque. Mosque is one of my favorite structures in the world, I have seen a number of Masjid including Jame Asr Hassanil Bolkiah, the largest in Brunei. 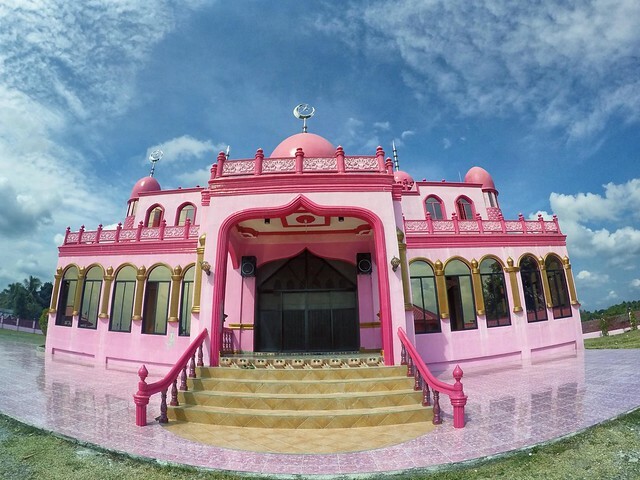 But none of them is as intriguing as the Pink Mosque. 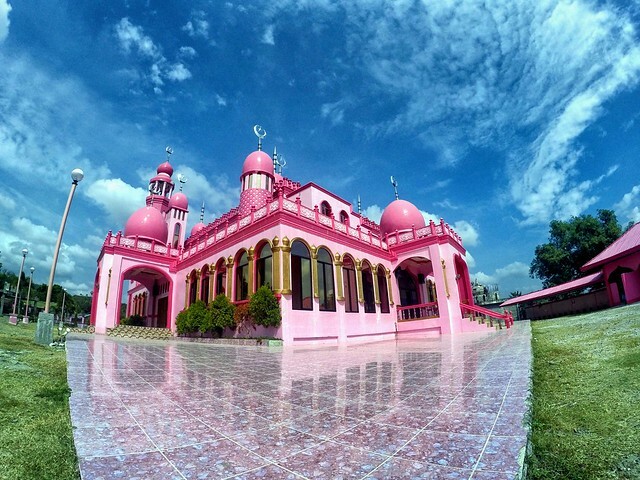 Formally called as Masjid Dimaukom, this eye candy is located at Datu Saudi Ampatuan, Maguindanao. You’ll never miss it, from kilometers away you can see the bright pink hues that serve as a beacon inviting you closer. Upon entering the premises you will be welcomed and yes, a tourist is allowed. Do remember to follow the right mosque etiquette though when visiting. We didn’t stay long, just a quick snaps of photos, a small talk with a group of young boys practicing their call to prayer and that’s it. But even with that brief amount of time, I suppose I ended up admiring the place. Not because of its color but of what it symbolizes. Peace. In a place not deemed safe by the public eye, Masjid Dimaukom stands in contrast, it is warm and inviting. And it makes you question others why they think differently. From General Santos City take a bus to Isulan, from there ride another Bus via Cotabato City. You can also ride a jeepney from Isulan to Datu Saudi Ampatuan (cost around 60-80php) Just tell the driver to drop you off at the Municipal hall. You won’t miss it, it’s colored pink too. Remember always be hungry for travel!